Welcome to our Dragonball Z Petition. 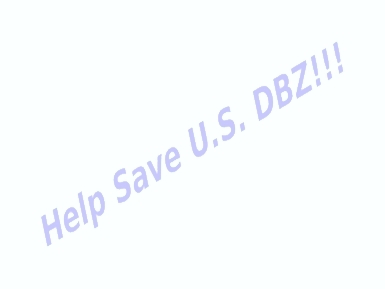 It is our focus to try to improve the current state of the U.S. dub of Dragonball Z. Specifically, we feel that the english dub should be more like the original Japanese version in terms of dialogue, music, and voices. Although FUNimation has recently made some improvements, including the release of subtitled DVDs, we feel that both the company and the fans would profit from further changes. Our petition asks for 2 things: Improvements in the current dub, and a redub of earlier seasons. We respect FUNimation's hard work, and we intend the petition to be viewed as a constructive and positive means of letting our voices be heard. Please take the time to sign! The petition has officially ended! Our final valid signature count is 4639. Thanks everyone!! !